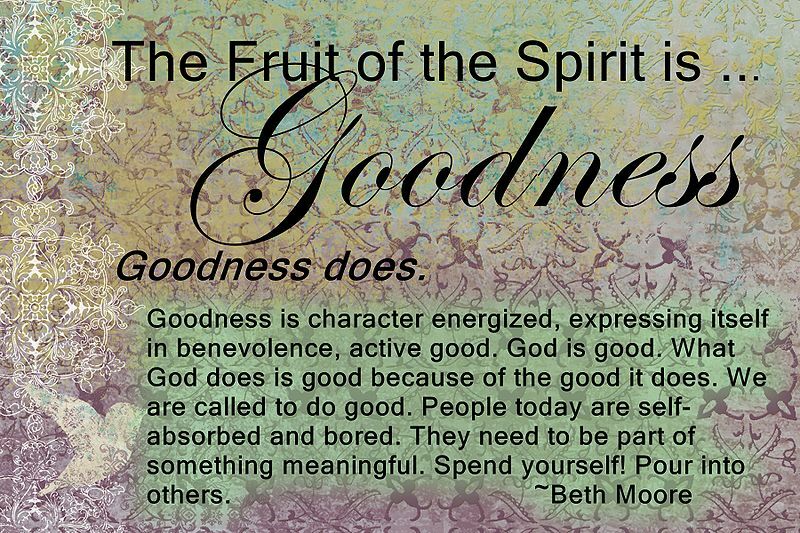 The Fruit of the Spirit is … goodness. In the Greek this word means benevolence, active good. Goodness is character energized, expressing itself in benevolence, active good. Different from an attitude like kindness, goodness is active … action. This page was last modified on 20 February 2013, at 22:45.